Of course, Why? Many folds -- 1.) We have three kids that are farm interested, but not necessarily in the same capacity as what they watch Dad do for 80 hours a week/7 days a week. So the idea is to decrease our dairy herd, but increase quality. (We are honored to have our 4 year old year cow selected the Reserve Grand Champion Red & White Cow at the Ohio State Fair). 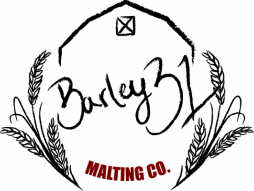 Modify acreage as a result to grow more barley. 2.) Barley is a winter crop and we can hopefully two crop with it. This means that we plant it after corn silage removal in September, and then harvest in late June to plant soybeans. It makes for a nice crop rotation. 3.) The cows can eat the barley blunders, and we can use barley to create flour for our pasta and breads for the catering and food truck.